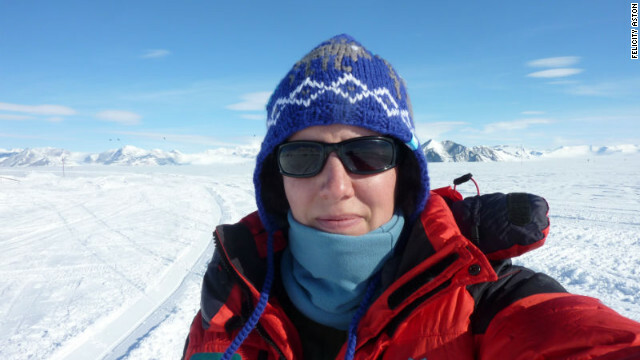 Felicity Aston, 33, spent 59 days skiing across Antarctica. If you'd become the first woman to ski across Antarctica alone, what's the first thing you'd want on completion of your 59-day, 1,055-mile journey? A glass of red wine and a hot shower sounded fine to British explorer Felicity Aston, who accomplished the feat Sunday. Aston, 33, was waiting Monday morning at Hercules Inlet, Antarctica, after one last night in the tent that that had protected her from the continent's harsh elements since she began her trek on November 25. Woken to the wonderful realization that I don't have to jump out of my sleeping bag and rush over the horizon today. 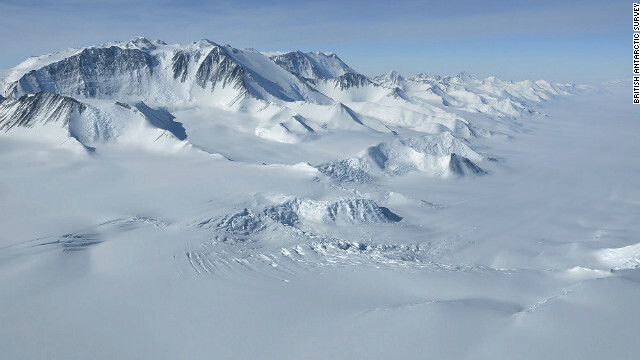 A New Zealand Air Force aircraft delivered pumps and equipment to the vessel Sparta after it became trapped in Antarctic ice. A research ship has arrived to help rescue a Russian fishing vessel that struck ice and became stuck in the frozen waters off of Antarctica 10 days ago, officials in New Zealand said. 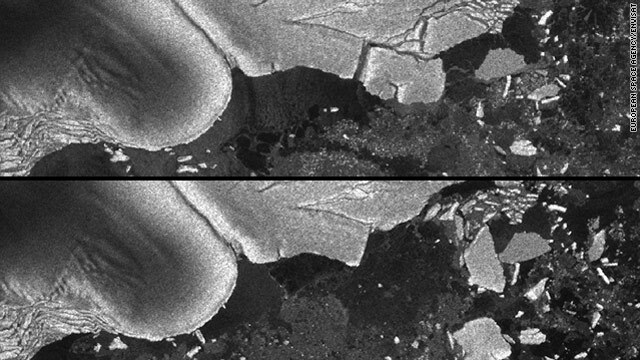 The Sparta hit underwater ice December 16, leaving a one-foot hole in the ship's hull, according to the New Zealand Rescue Coordination Center. 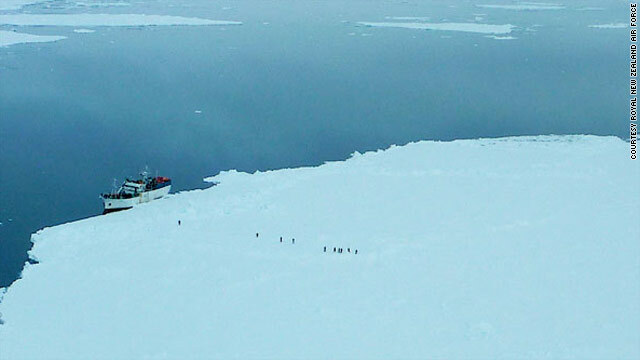 The ship has been stranded in an area about 2,000 miles from New Zealand, where the ice has been so thick that rescue ships have had difficulty getting close. Since becoming stuck, 32 crew members have been working with rescuers to try to patch up the hole to keep the ship from sinking. They had been given tools dropped by a New Zealand Air Force plane, helping them pump out freezing water that was rushing into the ship. Anti-whaling activists approach a Japanese whaling vessel in January in a photo from Japan's Institute of Cetacean Research. New Zealand joined Australia on Wednesday in criticizing Japan's decision to resume whaling in Antarctic waters later this year and Tokyo's announcement that it will increase security for its whaling fleet. "The Japanese government (is) making noises that have an ominous feel about them," New Zealand Foreign Affairs Minister Murray McCully said. Michihiko Kano, Japan's fisheries minister, said at a news conference Tuesday that a patrol boat from the Fisheries Agency would accompany the Japanese whaling fleet when it heads for the Southern Ocean in December to "strengthen the protection given to the research whaling ships." The addition of the patrol boat to the whaling fleet comes after last season's whale hunt in the Southern Ocean was cut short when anti-whaling activists from the Sea Shepherd Conservation Society blocked strikes on the animals. 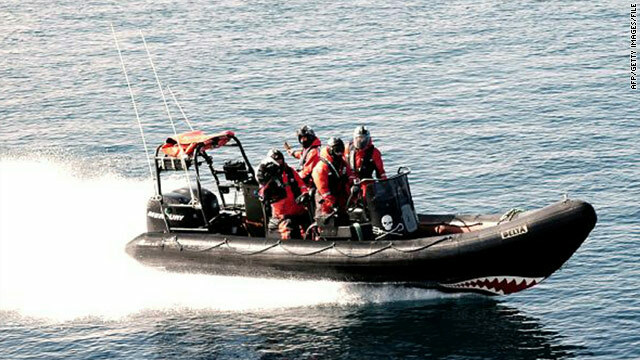 Sea Shepherd said its actions saved 800 whales, and it promised last week to be back in force this season.